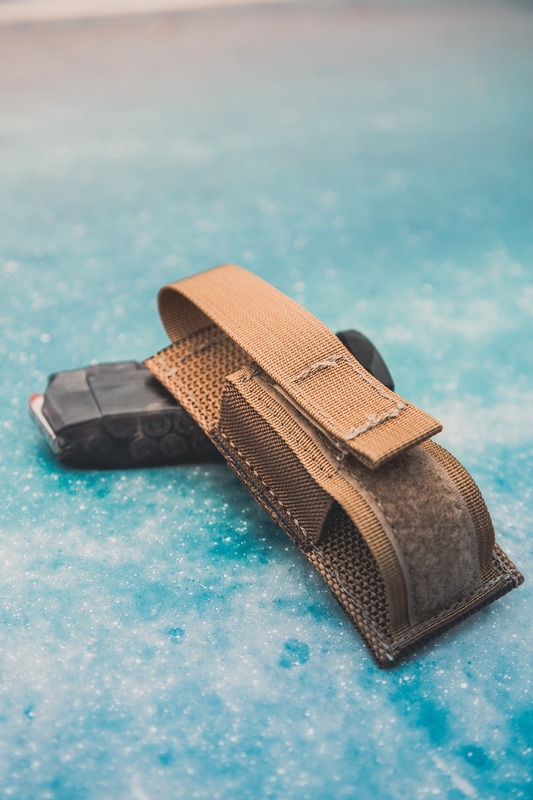 Integral Webbing/Velcro Strap for when additional retention is required – for instance when hiking in brush or riding an ATV/Snow Machine. 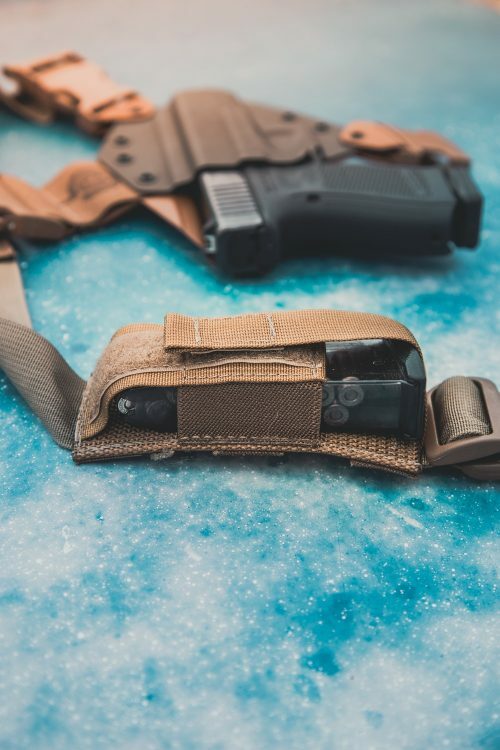 Functions properly with virtually ALL magazines. Also works great with knives, multitools and flashlights. Works on either side of Kenai Straps for maximum versatility and comfort. You asked for it – we delivered. 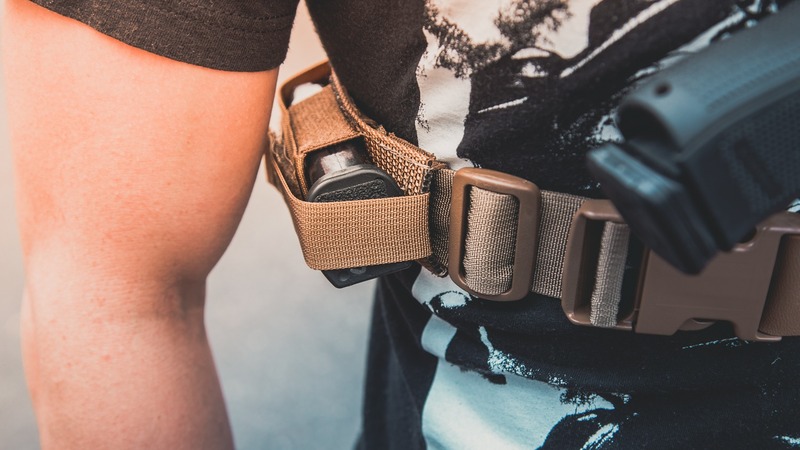 After a lot of careful testing and consideration on our part, we’ve found the perfect solution for carrying a spare magazine on the Kenai Chest Holster. We experimented all kinds of Kydex and Nylon pouches and chose this pouch over a ton of over options. 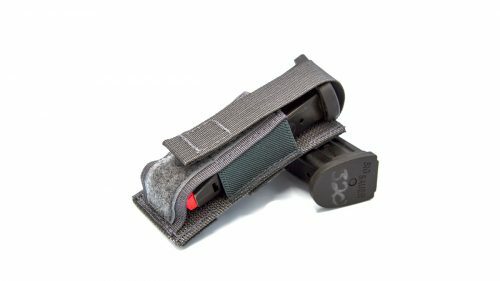 It’s a Nylon single mag pouch that fits everything from single stack 9mm magazines all the way up to double stack .45 magazines. 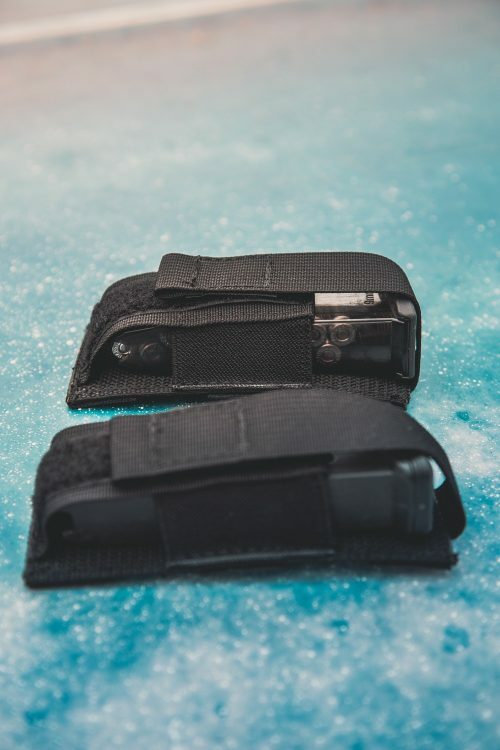 It even retains knives, multitools and flashlights. It’s built to spec for us, here in the USA, with all US sourced materials. We guarantee that this Mag Pouch meets the same quality standards as GunfightersINC products.